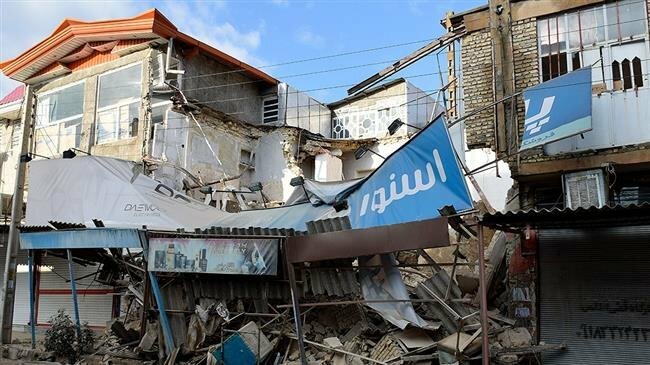 At least 361 people were injured in a 6.3 magnitude earthquake that struck near the border with Iraq, Iran's semi-official Fars News Agency reported. Sunday's quake in the western part of Iran struck close to the Arak heavy water reactor production plant leading to the question when will one of these nuclear sites receive a direct hit? The powerful quake was 6 miles deep, the US Geological Survey said. Buildings were damaged in various rural areas in SarPol-e zahab and Qasr-e-Shirin, causing walls of some homes to fall, says Fars. Panicked residents in some affected areas ran into the streets, Iran's state-run IRNA news reported. People arrive for medical treatment at a hospital in Sulaymaniyah, Iraq. Tremors could be felt as far away as Baghdad. Social media users in the Iraqi capital uploaded videos of furniture moving and chandeliers swinging. The quake was about 12 miles from Sarpol Zahab, Kermanshah province, the USGS said. Iran sits on a major fault line between the Arabian and Eurasian plates and has had many earthquakes. Last night's quake was the 12th major quake of November and the 118th of 2018.